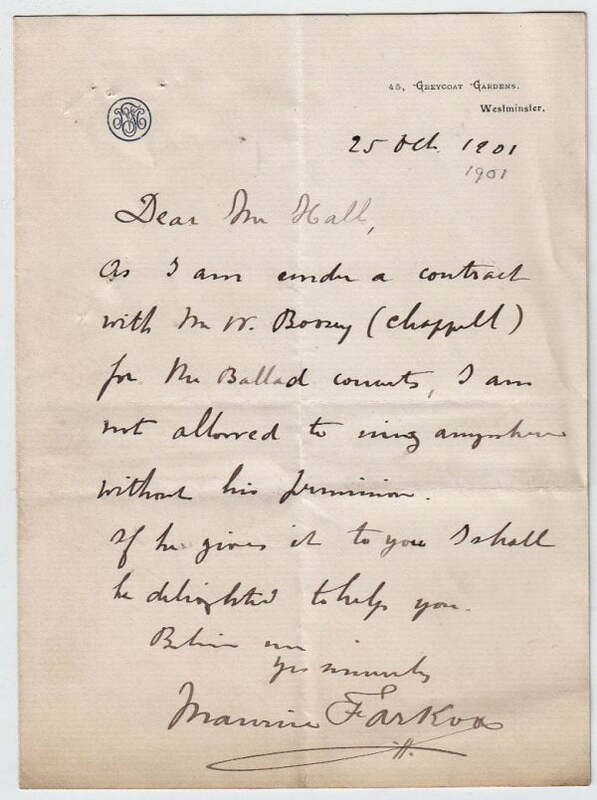 Autograph Letter Signed, to Mr. Hall, explaining that he is under contract to Chapells for the Ballad concerts. A good one page example, 7 x 5 inches, minor creasing, pinhole. Westminster, 25 October 1901. Maurice Farkoa (1864-1916), musical comedy actor and singer.